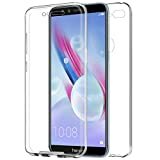 Huawei Honor 9 Lite Case Tempered glass 360° Full body protection, front and rear PC hard shell ,Strong sense of security, Designed for Huawei Honor 9 Lite. 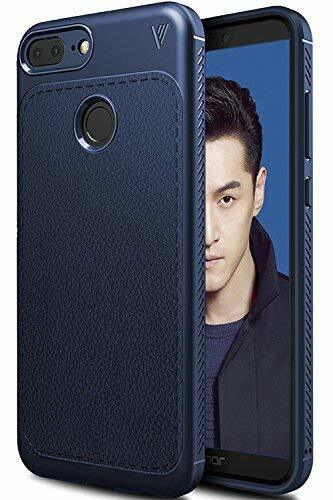 New design:Huawei Honor 9 Lite cover Up and down and rear shell 3 in 1 design, stylish and safe.Surface wear can not afford to paint,micro-matte anti-fingerprint,good feel and not slip. All ports and controls are still very convenient. Higher than the camera protection design,effectively prevent the camera scratches and collisions. We sincerely hope: it's a good gift for you and your friends! Specifically designed for Honor 9 Lite 5.65 inches smartphone 2017 release. Made of the quality rubberized materials for dual protection for your phone from drops, bumps and scratches. 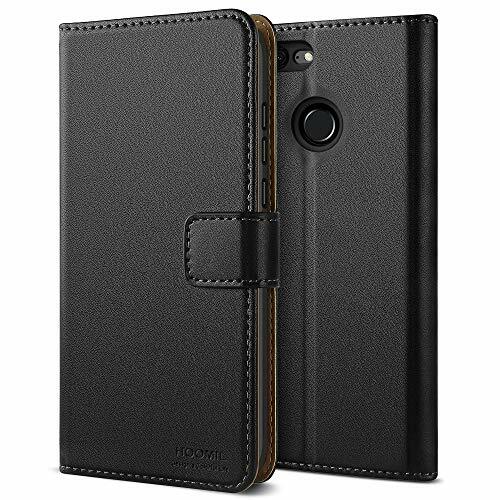 Stylish, slim fit with a soft comfortable grip for your phone. Precise cut-outs allow easy access to all ports and buttons. 360 degree full body protection with a raised bezel follows the edge for optimal screen protection from scratching or touching the ground. This product is sold exclusively by Tenzero Store. Only buy from Tenzero Store to get genuine "TTVie" products with lifetime warranty and superb customer service. 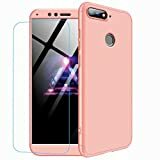 Specially designed for Huawei Honor 9 Lite; Perfect cutouts for speakers, camera and other ports,fits your Huawei Honor 9 Lite like a glove. Pretty owl tree embossed design enhances the beauty of your Huawei Honor 9 Lite, decorates your daily life as well. 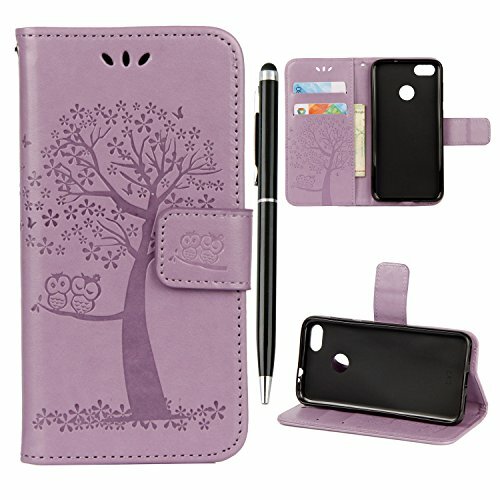 You will get lots compliments with this case, it could be a lovely gift for your families and friends. Card slots and wallet to hold cards and money; Wrist strap for carrying convenience; Magnetic closure secures your phone in style and elegant when not in use. Stand function offers convenient hands free movies watching and video meeting. 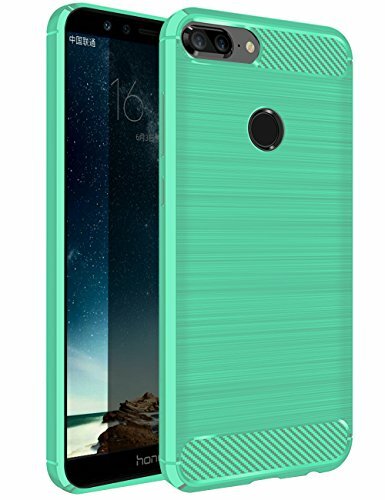 NOTE: This phone case is compatible with HUAWEI HONOR 9 LITE, please check your cell phone model before buying. 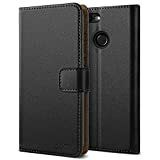 TOP QUALITY: This Huawei Honor 9 Lite Protective Case is made of high quality PU leather and flexible TPU, protects your smartphone from accidental drops, bumps, dust and scratches. 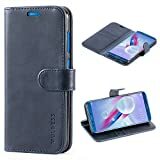 MULTI-FUNCTIONAL, SIMPLIFY YOUR LIFE: The Huawei Honor 9 Lite Phone Case featuring 2 Card Slots and 1 Money Pocket, you can carry around your ID, credit cards and cash, without having to take your wallet with you. PROFESSIONAL, SAFE DESIGN: Strong, double sided Magnetic Closure secures your phone, money and cards in safety. 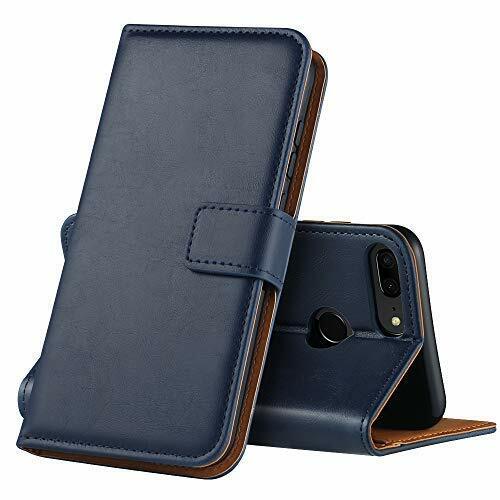 PERFECT VIEWING ANGLE: This Huawei Honor 9 Lite Flip Case can be switched to a horizontal position and act as a stand function, convenient for movie-watching or video-chatting. 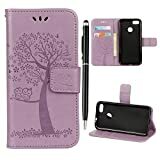 Fit snugly personalised design phone case cover for original Huawei Honor 9 Lite . Dual layer protection and premium materials: Flexible TPU silicone gel outside combine with hard PC inside, professional design, to provide long-term protection. Non-slip, Scratch resistance, shock resistance, impact resistance, fingerprint resistance, dust resistance and drop protection. High elasticity and durability, to maximize the protection of your mobile phone life. Soft silicone bumper with precise cutting and response buttons to ensure fast access and feedback. 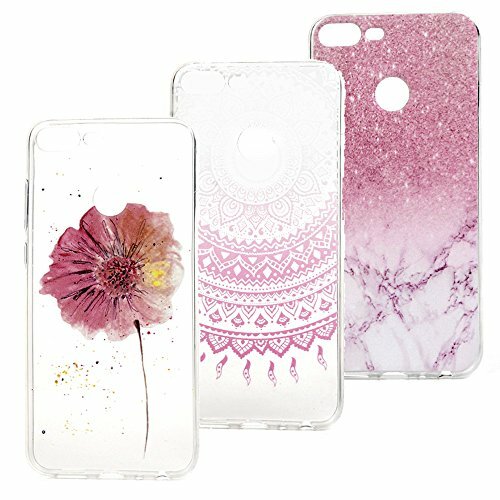 Personalized design: The mobile phone shell is injected with liquid and stars hearts, and the sealing process is tight. 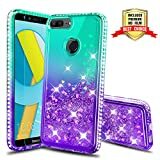 Glitter sparkly bling cute for girls women, luxury gifts. When you move your mobile phone, the inside quicksand flowing freely, make your mobile phone special and gorgeous, bring more fun to you. Ultimate protection: The use of air cushion technology to protect all corners. Add enough thickness to make the raised edges better protect the screen and camera. 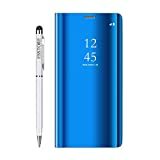 Free Protection Film, Scratch resistant, anti-fingerprint, make your mobile phone get 360 degrees of overall protection. It also provides good grip and sense of use. Warranty: Made from environmental materials, our products have been tested by SGS and pony, they are safe and harmless. Please feel free to use it. If you have any questions or you are not satisfied with our products, please feel free to contact us by email instead of rushing to give us a negative review, we will reply within 24 hours. We will try our best to solve your problem and don't let you suffer any loss. Note: Only compatible with Huawei Honor 9 Lite. Not fit for Honor 9. LIGHT AND SLIM - The silicone TPU is soft to the touch, easy to grip and ultra lightweight. Constructed from smooth, treated rubber that resists dirt and stains. 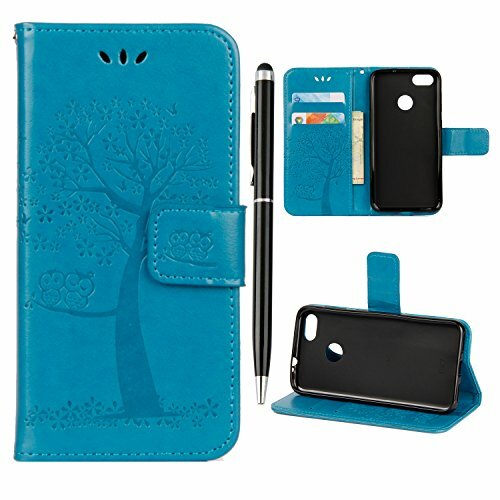 This cover does not add a lot of bulk to your phone, so it compliments the minimal design of it very well. The front part is TPU flexible, while the back cover is made of rigid plastic. 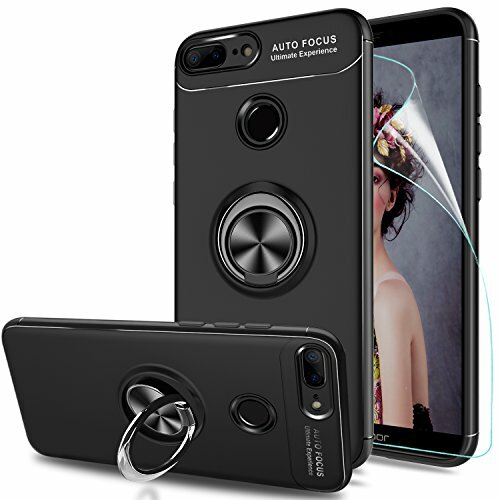 FULL PROTECTION FOR YOUR SMARTPHONE - The 360 degree case protects your smartphone from front, back and all sides. Resistant to shock, scratches and tears. It also prevents the accumulation of dust and oil. 100% TRANSPARENT - This case is transparent and highly functional because of its full body coverage and sensitivity on screen. Unlike other similar offers it has no dots on the screen! Front of the case is 100% clear and gives you a perfect image quality. [No need for screen protectors or glass protectors]. 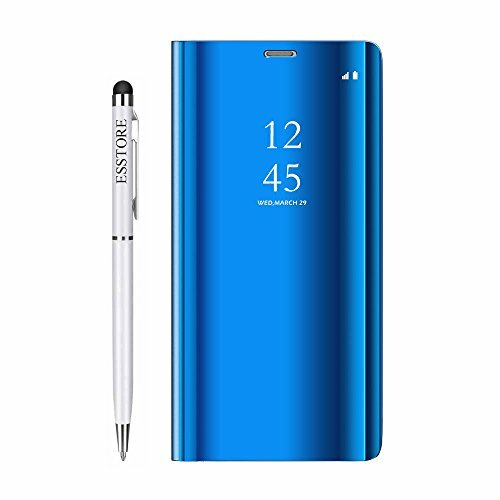 SPECIALLY DESIGNED FOR THIS MODEL - Elegant and slim fitting design allows full access to all buttons, controls, cameras and ports without removing the case. This two-part case is easy to install on and off. Unlike screen protector and screen glass you can take it off and put it back on multiple times without damaging it. 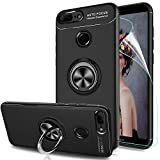 Fit snugly perfect personalised design phone case cover with 360 degree rotatable ring kickstand for original smartphone Huawei Honor 9 Lite. Super cheap and high-end quality: Premium TPU,silicone gel ultra hybrid, shockproof and scratch resistant materials with professional design, to provide long-term protection: non-slip, Scratch resistance, shock resistance, impact resistance, fingerprint resistance, dust resistance and dirt protection. High elasticity and durability, to maximize the protection of your mobile phone life. Thin profile with precise cutting and response buttons to ensure fast access and feedback. Personalized design: The phone ring bracket can rotate 360, adjust to any angle you need. When you watch movies or video, use it as a stent to improve comfort and convenience. 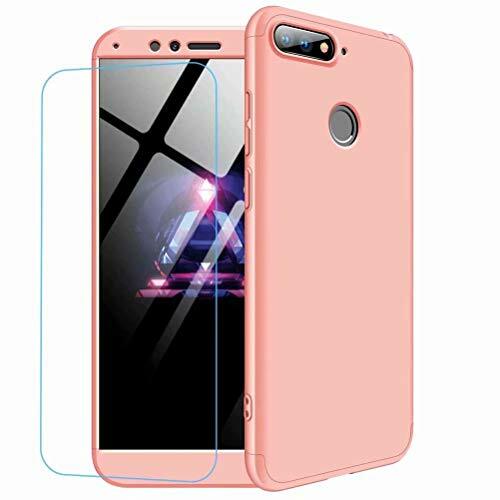 The free HD screen protective film to protect the screen and camera, prevents scratches, scratches, provides 360 degree protection. Ultimate protection: TPU, silicone, gel fusion technology, soft, flexible, lightweight, elasticity, anti-collision, shockproof, scratch-resistance, non-slip, impact protection,The ring kickstand of the back cover design, good for one-handed operation, fingers hold it easily and protect against falling when taking pictures or making video. Warranty: The ring bracket is made of metal, which can be directly adsorbed to the magnetic car mount holder. It is convenient for you to do any operation. If you have any questions or you are not satisfied with our products, please feel free to contact us by email, we will reply within 24 hours. We are pleased to offer you better service. Wallet slots design:Multiple cash and card slots in this cover,you can carry your ID, credit cards, debit cards, and money with you at all times. Warranty - 18 months Money Back Guaranteed. 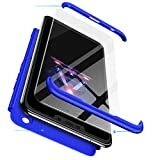 Compatible with Huawei Honor 9 Lite, Not compatible with other phone model. 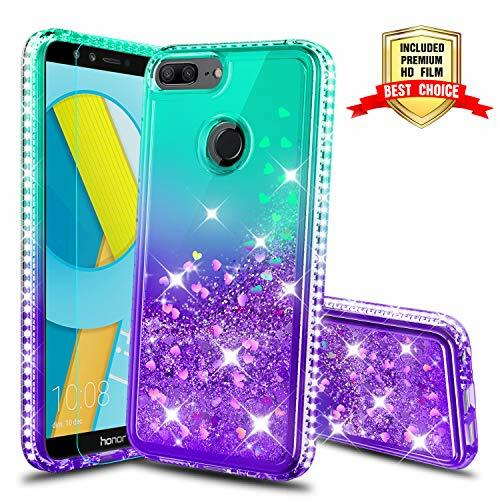 Gorgeous Bling Bling Style: Liquid glitter float freely makes you and your Huawei Honor 9 Lite phone look fashionable and perfect every day.Bring more fun to you. Light Weight & Shockproof: Flexible Soft TPU rubber silicone materials provides a perfect protection to your Huawei Honor 9 Lite cell phone against shocks, damages, dusts and scratches. Precious Cutout & Design: Ultra Clear slim, Precious cutouts for speakers, charging ports, camera speakers, and mics. All buttons line up perfectly with the Huawei Honor 9 Lite phone. Warranty/Replacement/Refund: Our products come with 3 months warranty. 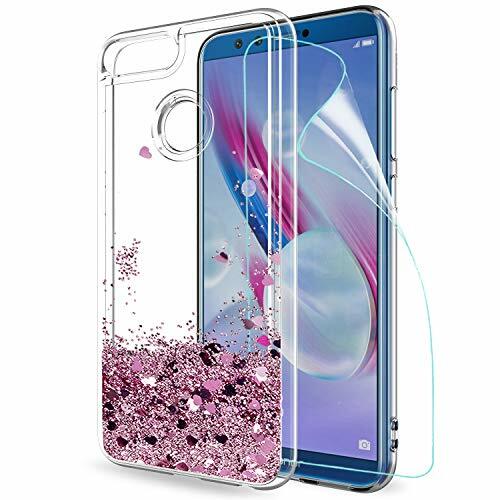 If Huawei Honor 9 Lite phone case you have received is defective in any way, please email us for replacement or refund.we will reply you within 7/24. 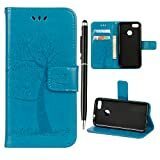 Designed Specifically for Huawei Honor 9 Lite Smartphone Case. The Cutouts with Good Finish are suitable for the speaker, camera and other ports. Our Products Protect Your Device from shakes and scratches to prolong the life of your smartphone. The Silicone Case gives you a comfortable and pleasant touch feeling. In addition, the Excellent Colorful Drawing brighten your eyes with a fashionable style. Package Contains : 3 Mobile Phone Cases. 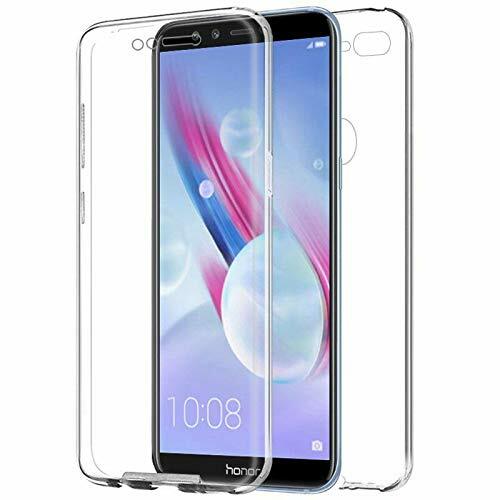 The case specially designed for Huawei Honor 9 Lite,please check your phone model before placing an order. 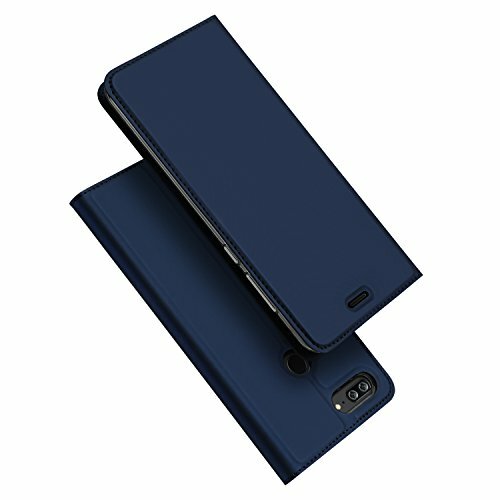 360 degree protection of ultra-thin case,3 in 1 design. Real fashion, enhanced the appearance of the phone and easy. All buttons are easily accessible with all buttons coverage.Accurate cellular hole and light sensor hole to ensure the original function of your phone speaker and light sensor perfectly. 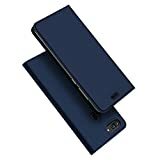 Durable protection,resistant to shock, scratches, and tears and prevents the accumulation of dust and oil. 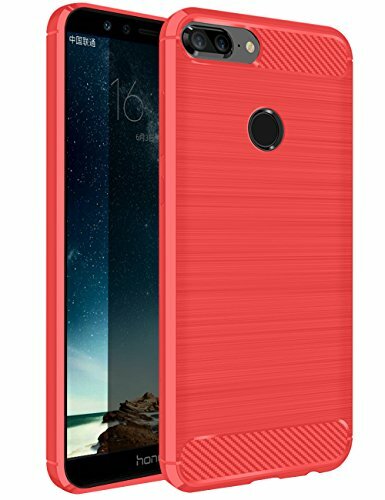 Made of durable PC material and silicone bumper , you can buy a high-quality phone case at a reasonable price.